“After releasing their first tool, a simple, gamified bus route mapper then called Transitmix in 2014, they began working with planners. In essence, they were designing the data visualization tools the planners wanted, but didn’t have. 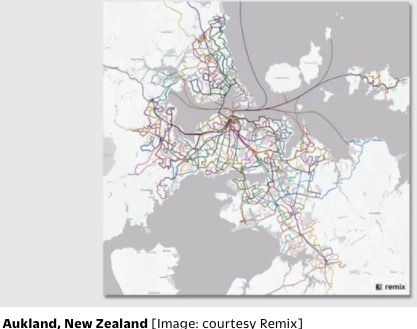 “You can think of Remix as a video game for planners, which is leading to better public transit service.